I am a self taught artist working from my home studio sometimes to commission. I have exhibited regularly as part of Artweeks in Oxfordshire as well as curated exhibitions for the art group I belong to in Oxford called Oxford Bury Knowle Art Group. I am a self taught artist and photographer who has been painting and drawing from an early age and taking photographs for over three decades. 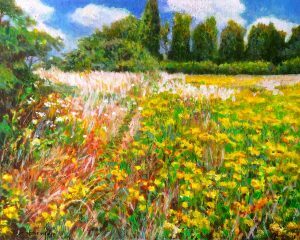 I work in a studio at home in Chalgrove which is a village just outside Oxford and work to commission in mixed media, acrylic and oils. I am a member of West Ox Arts and Oxford Art Society.I have undertaken photographic commissions such as the Cowley Road Carnival, Oxford Anagama Kiln Project and Oxford Festival of the Arts for which I was photographer in Residence in June 2018. In 2019 I will exhibiting from home in June. I take monthly art classes at SOCA and summer workshops at New Brewery Arts in Cirencester. I will be running some photography workshops at SOCA in Lake Street, Oxford from May onwards with two other photographers. I will also be including a small still life for Artweeks at SOCA. 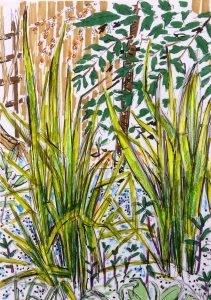 In September I will be exhibiting with a group of artists in Dorchester-on-Thames under the theme of Henge 19 exploring the place of ancient sites in this area. At the moment I am doing a collection of abstracts on canvas (contact me for details). 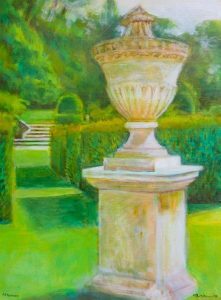 Oxford Art Society Members’ Exhibition 6-28 April 2019 The Garden Gallery The Oxfordshire Museum Woodstock OX20 1SN Tuesday-Saturday 10am-5pm Sundays 2pm-5pm Bank Holidays 12-5pm including Good Friday and Easter Sunday. New Hinksey Arts Artweeks at SOCA Lake Street 4-11 May check details in the Artweeks Guide and online at www.artweeks.org.